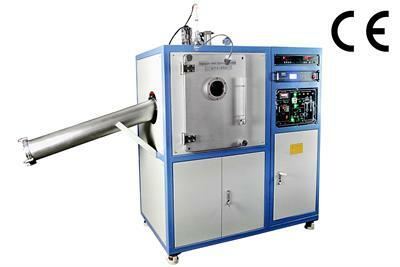 EQ-VTC-500 is a lab scale vacuum melt spinning system for preparing amorphous metallic ribbons. In this technique, metal ingots (<50g) are melted via induction heating method and then propelled by overpressurizing the crucible. A thin stream of molten is then dropped onto a fast moving surface of a cold copper drum. 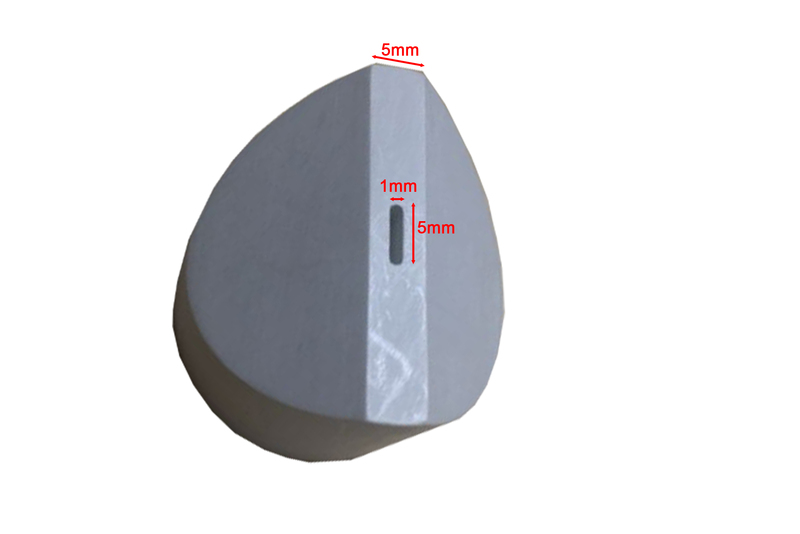 This causes rapid quenching & solidification of the molten and thus form the liquid metal alloy. The system features an SS air-tight chamber with a front observation window. A turbo backed by dual stage oil pump is included for achieving high vacuum upto 10^-4 Pa. 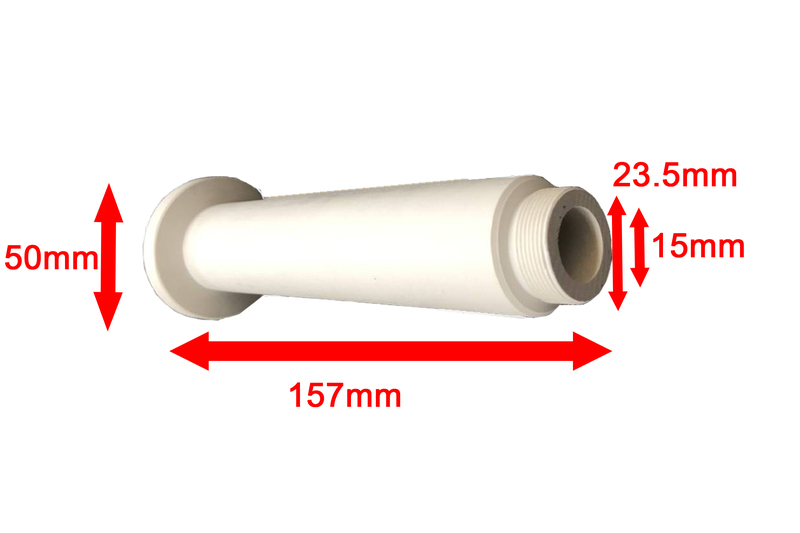 The unit provides inlet and outlet valves for inert gas purging. This helps to protect samples from moisture or oxygen exposure during the melt spinning process. 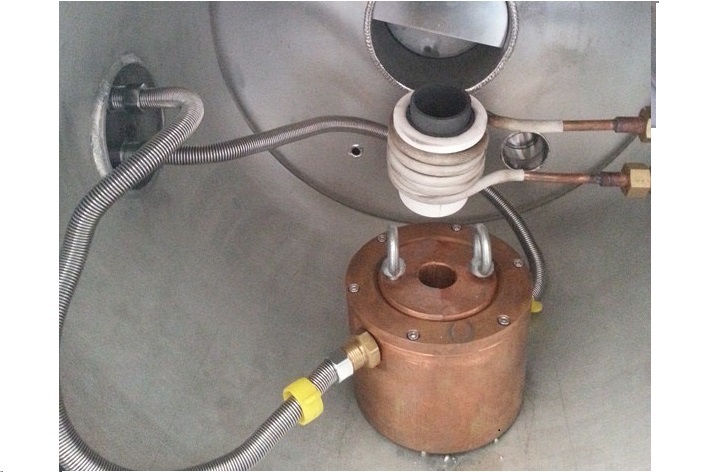 User can also control the RPM of the drum, induction heating power, temperature and pressure applied to the crucible. Complete system consists of the stainless steel vacuum chamber, turbo & mechanical pumps, 15KW induction heating system, rack system and one meter long discharging tubular collector. 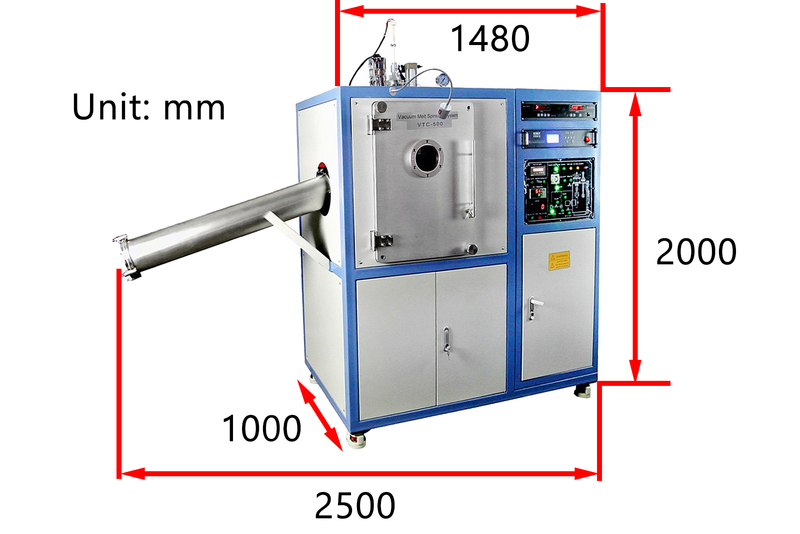 Lab scale system for melting metallic samples upto 50 gram per batch (material melting point < 1000°C). 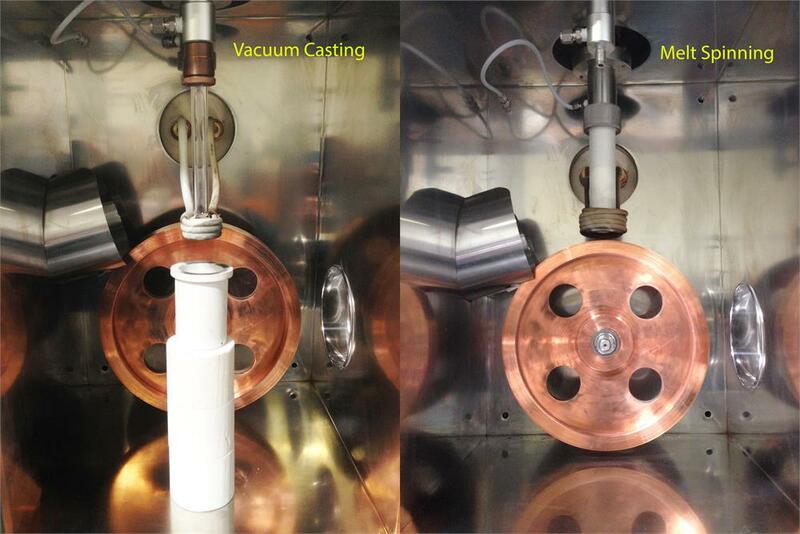 Vacuum casting attachment is included as a great add-on feature of the melt spinning system. 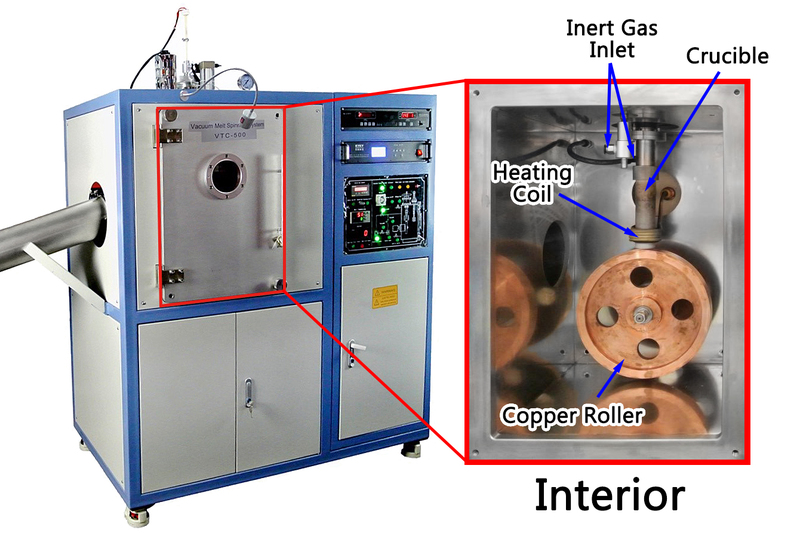 Please refer to the picture to the left to see the setups for vacuum casting and melt spinning. Casting mold is not included. 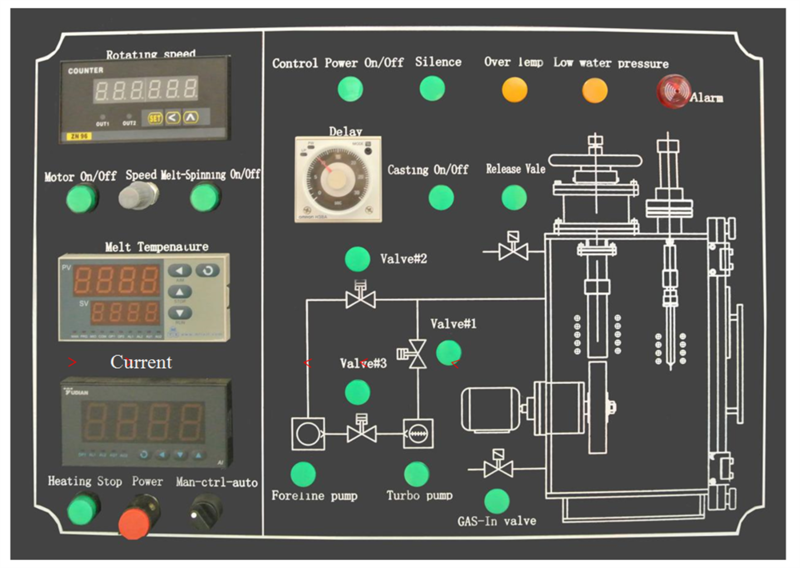 All functional controls in one panel: Temperature & induction power control, copper drum spinning speed & ON/OFF, Mechanical & Turbo Pump ON/OFF, solenoid valves for pump isolation and gas purging, Melt-Spinning ON/OFF. Please click pic.1 for details. Combined digital vacuum display for Pirani gauge and Ionized gauge. Please click pic.2 for details. 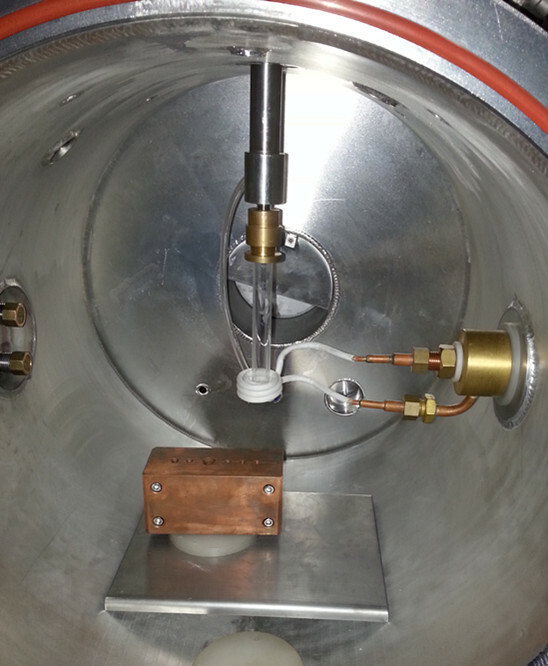 Stainless steel vacuum chamber: 400×380×600mm (W×D×H), please click pic.1 to view the inside of the chamber. Hinged type door with quartz observation window (120mm dia. 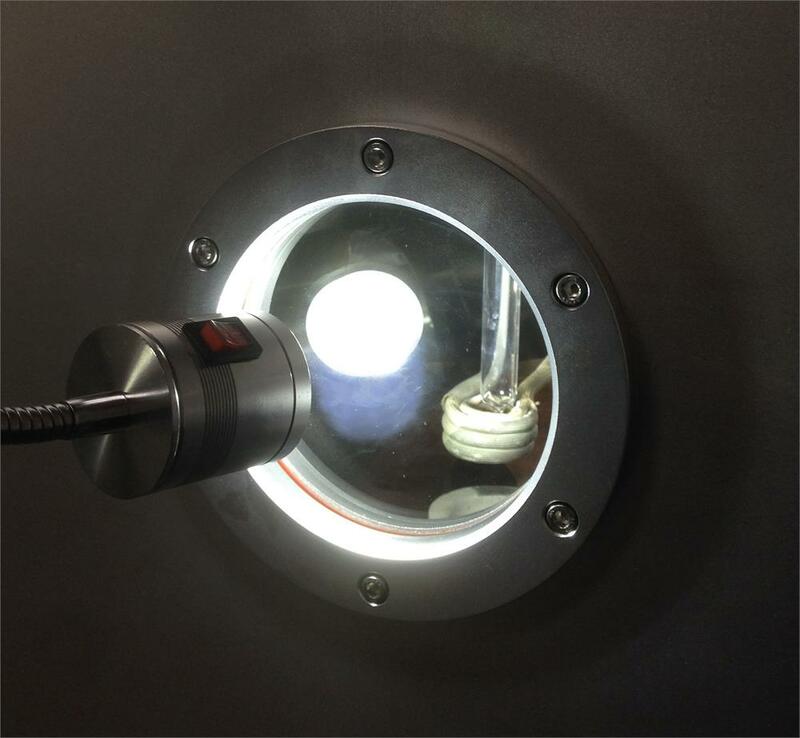 ), illumination lighting provides better sight viewing of the process condition inside the chamber. Please see pic.2 for details. 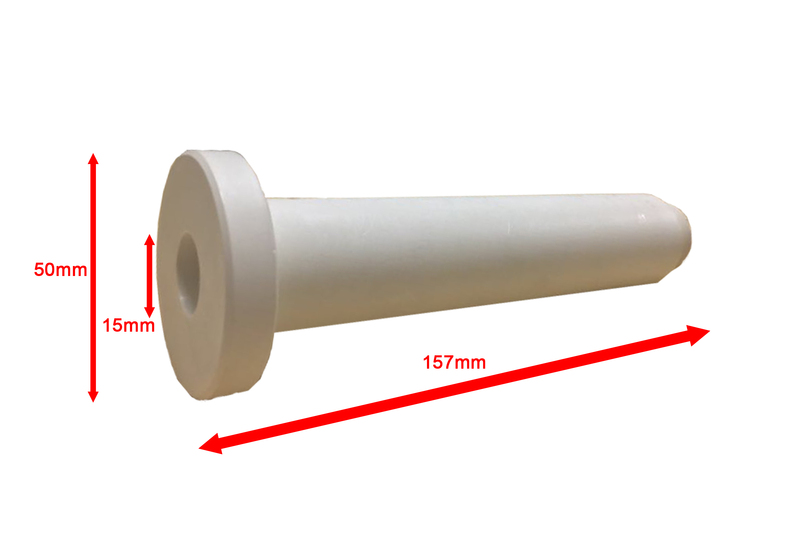 Two standard BN crucibles are included in the package ( Two nozzle sizes: 1mm diameter and 10mm L x 1mm W). Please click the pic.1 & pic.2 in below for details. 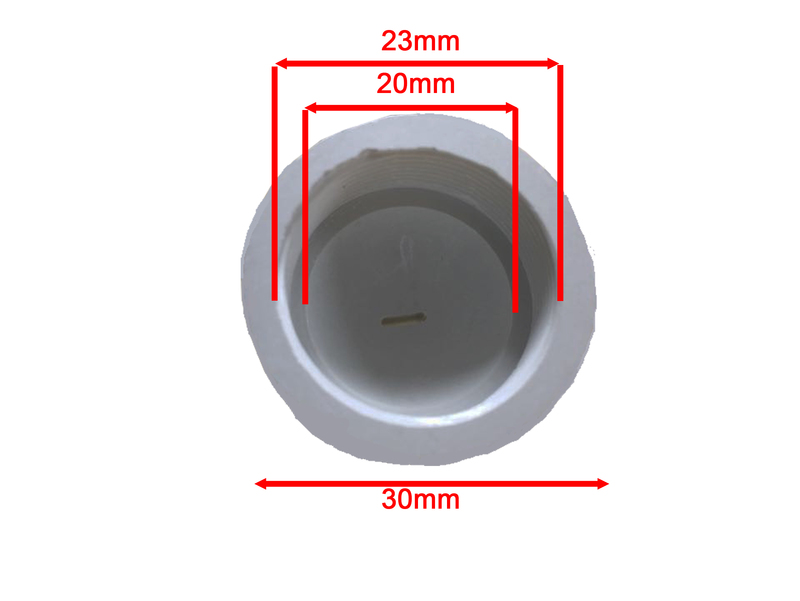 Two quartz crucibles for vacuum casting are included (1mm Diameter nozzle). Please click pic.3 for details. 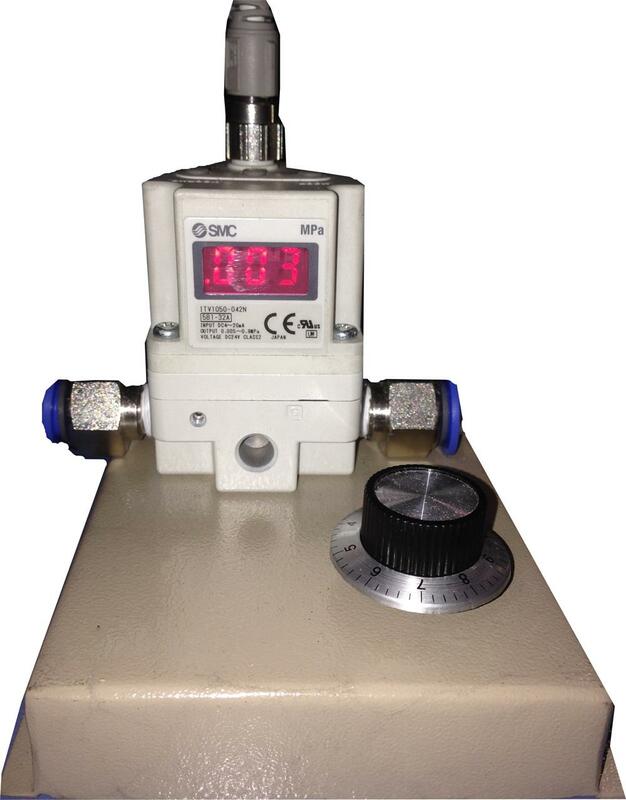 PID pressure regulator is included for precisely control the gas pressure applied to the crucible in order to propel the molten out from the nozzle. 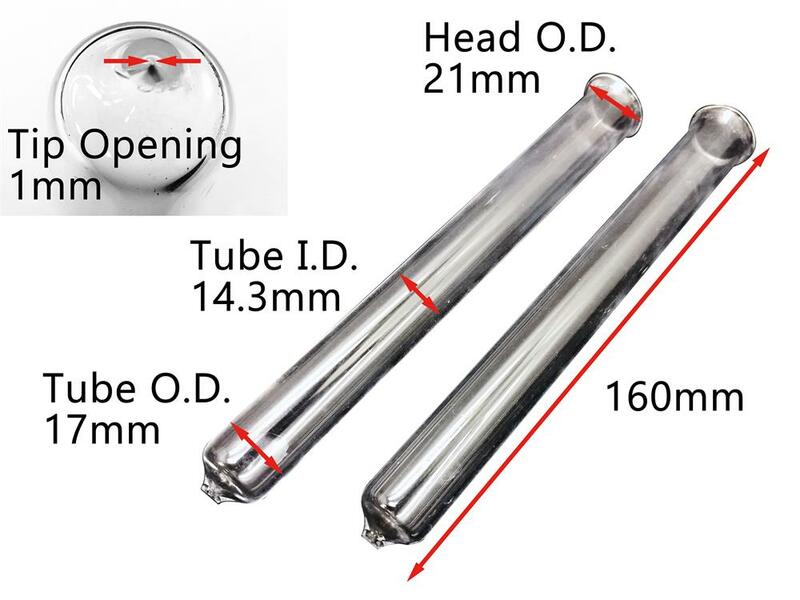 Please refer to the picture on the left to see the device. A liquid cooling system is optional, please click the rightmost image below to order. 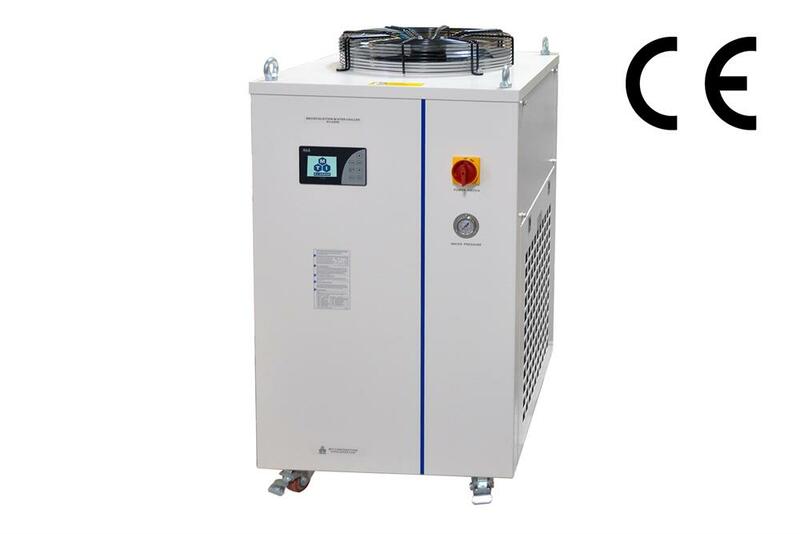 For materials with melting point>1200C, 30KW induction power supply is highly recommended at additional cost. Please be advised that it is not every material that can be spun. In order to melt spun successfully, material melton must match suitable viscosity. 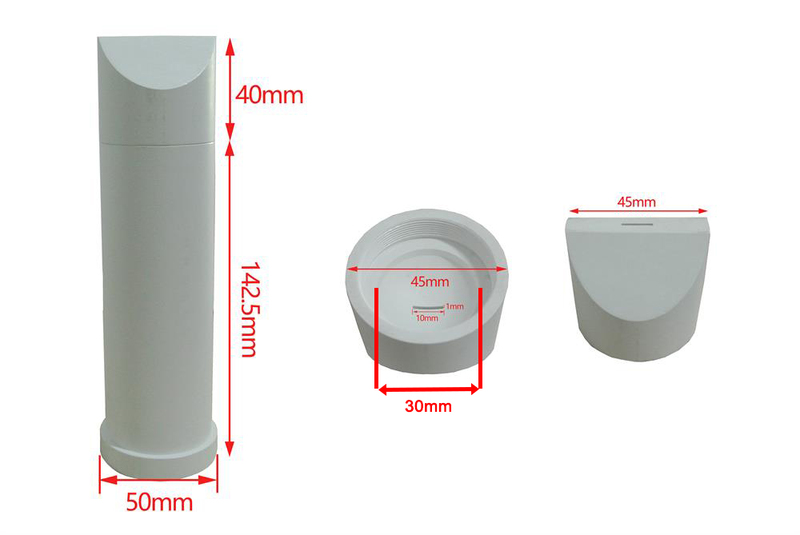 It is customer responsibility to find right composition, crucible size and power supply. 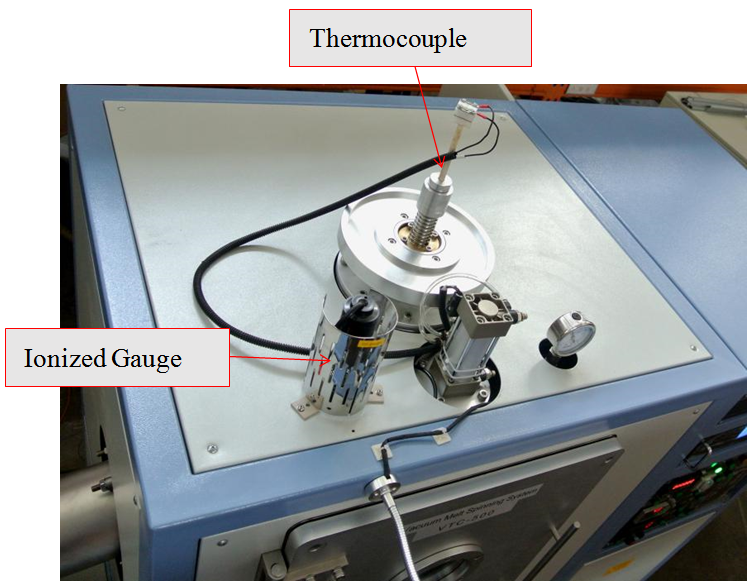 For the materials that can not be heated by induction well, you may add graphite heating ring at outside BN crucible to enhance temperature higher. Please contact MTI team for details.